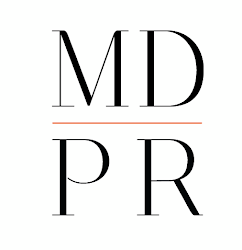 MDPR Insider: Test Your Business Etiquette! We learned the importance of being kind and polite from Miss Manners when we were children, but now that we are professionals, her lessons have a whole new meaning. Especially when the stakes are high and one slip could have grave consequences, it’s crucial that you understand the do’s and don’ts of business etiquette. With new communication platforms like Facebook, Twitter and Instagram, determining what's professionally acceptable has become a gray area. The uncomplicated “rules” our parents knew have evolved into flexible guidelines, blurring the lines of appropriateness and creating ample opportunities for error. Take this quiz to help you identify the areas of business etiquette you need to know. And don’t forget to review the answers to the questions. Their descriptions offer a few more pieces of helpful advice. 1. It’s appropriate to move on with a conversation if the person you are with forgot to introduce you. 2. It’s appropriate to hold private conversations in office bathrooms, elevators or storage closets. 3. What percentage of your message is conveyed through your physical appearance? 4. How far should you stand from another professional when you are having a conversation? 5. It’s appropriate to tell a colleague that his or her zipper is open. 6. The host, the person that organized and invited people, should pay the bill. 7. It’s important the change your voicemail message if you’re out of the office. 8. It’s appropriate to send confidential documents or large attachments via email. 9. It’s appropriate to leave your cellphone on during a meeting if you’re expecting a call. 10. It’s appropriate to comment on a conversation you overhead from a colleague’s office. 1. False: It’s rude not to introduce someone, but if this happens, it’s even more awkward to carry on a conversation without introducing yourself. 2. False: First of all, if you have to engage in a conversation in the office bathroom, perhaps it isn’t a conversation you should be having at work at all. Second of all, you never know who could overhear. 3. 55%: It’s important to pay attention to your body language because it can give a lot away. If you are slouching and avoiding eye contact with the person you are talking with, you may be sending the message that you have better things to do. 4. 3 feet: While this distance depends on what country you’re in, 3 feet is a safe distance to avoid speaking loudly while also respecting the other person’s personal space. 5. True: You obviously shouldn’t make a big deal about it and embarrass the person in front of his or her colleagues, but it is appropriate to discretely pull the person aside and let him know that his zipper is down. This also applies to other potentially embarrassing situations. 6. True: Be familiar with your company’s lunch policy before inviting clients or colleagues out to eat, and check the prices of the restaurant before you go to make sure that it’s within your budget. 8. False: Nothing on the internet is ever private, so stay away from sending confidential information or large attachments through email. Consider using other resources, like UPS or FedEx. 9. False: If you have to have your phone on during a meeting, put it in vibrate mode. Otherwise, turn it off because it’s disrespectful to your other colleagues who have worked hard preparing for the meeting if your phone goes off unexpectedly. It sends the message that you are uninterested in what they are talking about. 10. False: To prevent this situation from happening, simply avoid eavesdropping on your colleagues. If you do happen to hear something, it’s probably best to pretend you didn’t. If they wanted you to know what they were talking about, they would have invited you to join the conversation. Hopefully these little tips have helped you develop a better understanding of business etiquette. It’s all about making the people you work with feel good and offering basic social comforts. It also says a lot about your character, which may help you skip a few steps if you’re in line for a promotion or job offer. Having a 1800 Number is one thing, being able to have the right etiquette in answering business queries is equally important.